4 Lux Candle holder || Design: Kristina Stark. 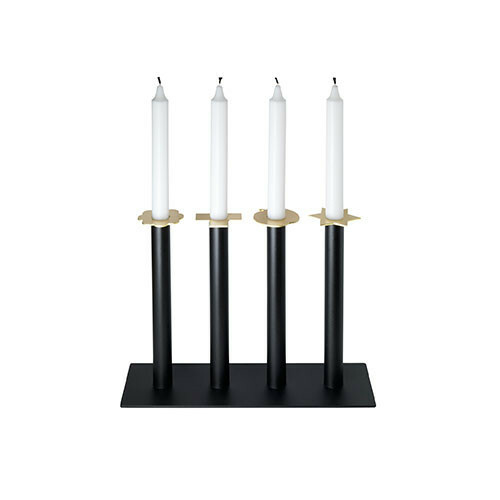 Candle holder in powder coated iron including four different candle rings, one for each Sunday in December. The candle rings are shaped as a flower, a cross, an apple and as a star. Comes in black with candle rings in solid hand polished brass.